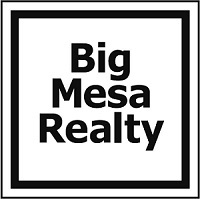 Big Mesa Realty has been in the real estate services business in the Eastern New Mexico (primarily Curry, Quay and Roosevelt Counties) real estate markets since 2012. Broker/Owner is a life resident of Eastern New Mexico and Curry County with over 40 years of involvement in production agriculture. Residential Single Family – Our residential single family services connect buyers with sellers every day, and we do it with professionalism and a total dedication to our clients. We serve Clovis, Portales, Tucumcari, Clayton and other towns in Eastern New Mexico. Commercial – Whether it’s a shopping mall, a small office building, industrial facility, renewable energy generation or a restaurant space, we’re commercial property specialists. Contact us for your commercial property needs anywhere in New Mexico. We also assist in site selection for new business looking to relocate to our area or anywhere in New Mexico. Farms, Ranches and Vacant Land– Land is a very special property class. We are part of a vast farming and ranching community and our principal brings over 40 years of experience in the agriculture industry to Big Mesa Realty to assist you in seeking the best choice in rural farm and ranch acreage. Call us at 575-456-2000 or email us (pkstout@gmail.com) to start a discussion of your needs. Or, fill out our quick form to tell us your property interest types.